Whether Willie Mullins is a fan of The Prodigy has not been determined but he was certainly able to breathe easier on Saturday evening after a stirring comeback in the Irish jumps trainers' championship. The loss of the Gigginstown-owned horses, plus injuries to other stars, meant Mullins was staring at defeat going into Punchestown, but he came out the other side an unlikely winner. Wicklow Brave, Bacardys and Bapaume all contributed Grade 1s at vital times during the festival, and it is testament to Mullins' ability that he was able to claim a tenth consecutive title. The bare numbers back up that assessment, as Mullins managed 180 Irish winners, 13 less than Elliott, but from 571 runners, compared to 1,234 for Elliott. Before racing Sprinter Sacre was paraded for the crowds, but it looks like the void he left at Nicky Henderson's yard when retired earlier in the season has been ably filled. There were shades of Sprinter Sacre in some of Altior's leaps during the Celebration Chase, and the burst of acceleration past Special Tiara in the home straight was devastating. The plan next season is for the Arkle winner to follow in his predecessor's shoes, with the ultimate aim the Champion Chase. Few would bet against him on the evidence of Saturday's display. While the British jumps trainers' championship didn't deliver as much drama as the Irish equivalent, it still went to the final day. 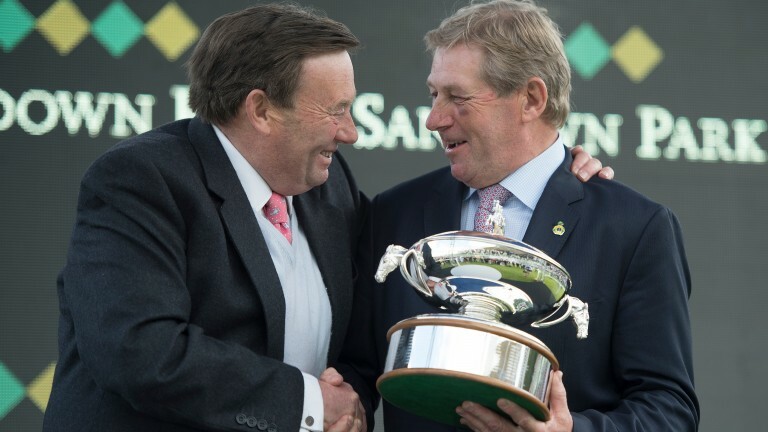 Ultimately, Nicky Henderson had too much for Paul Nicholls, and the opening juvenile handicap hurdle encapsulated the season. Henderson was able to unveil Call Me Lord, a French recruit having his first start for the yard, while Nicholls relied on Dolos, another French import, but one having his eighth run of the season. The pair pulled clear before the last, but Call Me Lord had that bit more class, and it was symptomatic of the respective arsenals of the two trainers. Nicholls is to be applauded for placing his team to maximum effect throughout the season, but at present Henderson has that bit more quality in the ranks. On the subject of the trainers' title, could Colin Tizzard push Henderson and Nicholls all the way next season? Third this season with 57 winners and just over £2 million in total prize-money in Britain, Tizzard definitely has enough top-class performers, and if his ranks are bolstered through the summer he could have the requisite depth as well. The one blip during a great season came at Cheltenham, but since then the horses have returned to form with a vengeance. Tizzard's team were nigh unstoppable at Aintree, and he enjoyed a very good Punchestown, with Sizing Codelco's win on Saturday giving him three winners for the week, and only a short head denied Finian's Oscar. 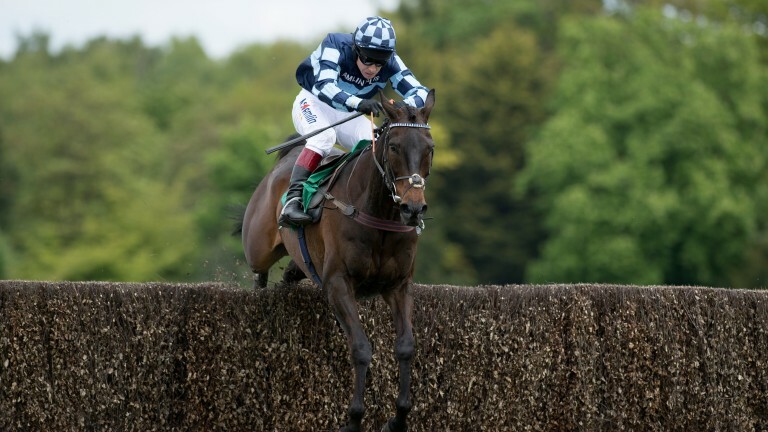 Will his team be at Punchestown next season, or perhaps enlisted to do battle at Sandown? 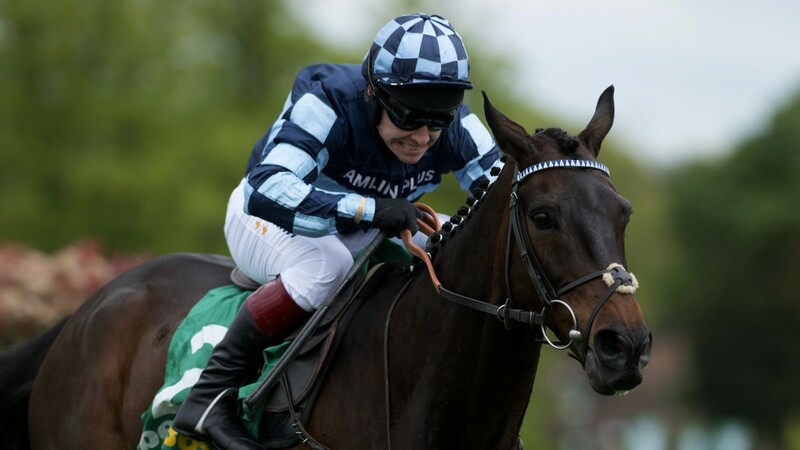 The affection jumps fans hold for the seasoned veteran is one of the great delights of the sport, and, with Many Clouds crowned Racing Post Horse of the Year for a second time earlier in the day, there was no more fitting winner on Sandown's card than Menorah. Now 12, Menorah once again sparkled in the Oaksey Chase, running away from the field. It was a fine way to head to retirement, and it was the best stage to bow out on, as he won the Grade 2 for a fourth successive year.